This desk memo set is ready to meet any need or budget. Included is a matching pen & pencil under the lid, 3" x 3" self stick notes and a useful paper clip tray. Your clients will take note of your thoughtfulness each time they use this wonderful gift. 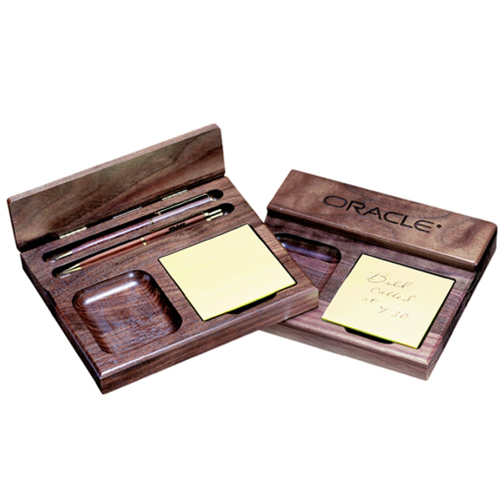 7" x 6" x 1 1/8"
Price includes a one position laser engraving, pen and pencil and an attractive burgundy tuck fold gift box.